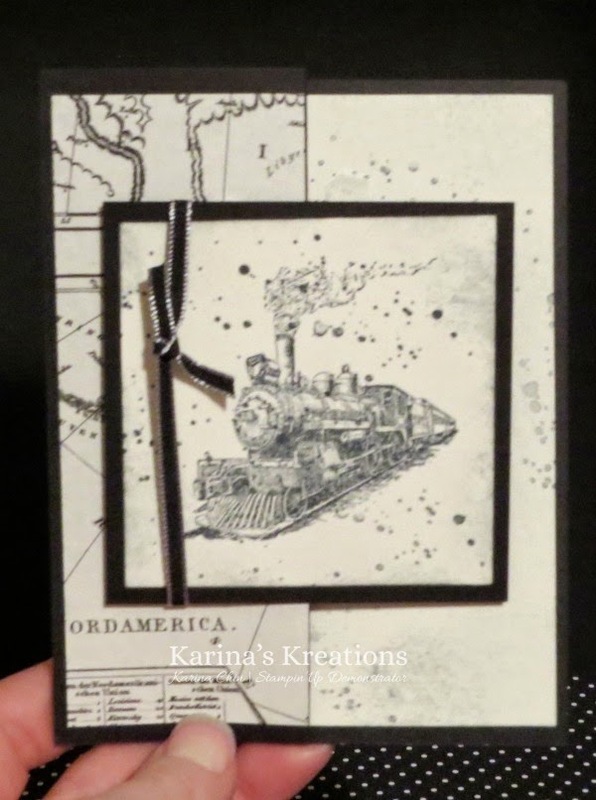 Karina's Kreations: Stampin'Up Traveler Swap Card! This is my swap card for my Coffee Talk group today. Coffee talk is a class I put on for friends who have the starter kit. We get together, swap cards, have door prizes and stamp our make and takes. If you're thinking of spending more than $125.00 on the upcoming retirement sale that starts Monday, consider getting the starter kit. You have access to the Stampin'Up website, receive a magazine twice a year and can get 30% off your first $200.00 order. Email me at kchin2@telus.net for more info! The swap theme this month was masculine cards. 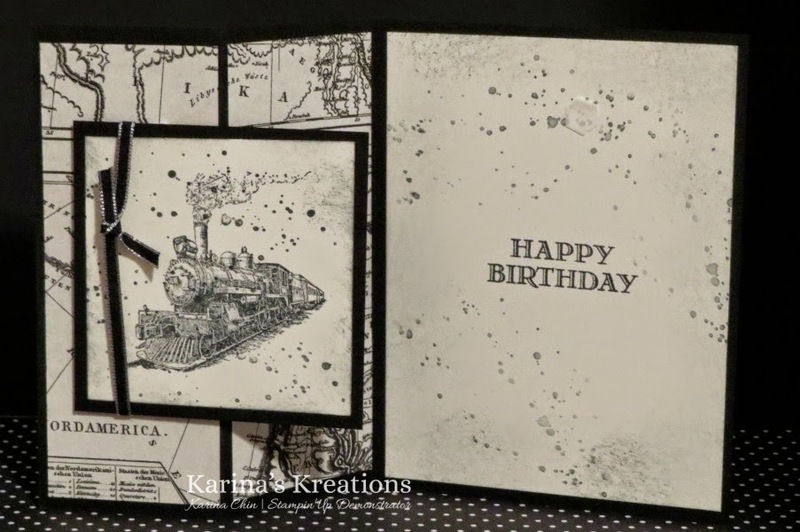 I used the Traveler, Guy Greetings, Gorgeous Grunge stamp sets and the Typeset Designer Series Paper on my card.